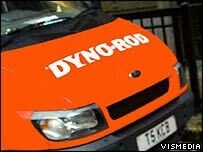 British Gas owner Centrica has bought drain maintenance firm Dyno-Rod and its other businesses for £57.6m ($104.3m). The deal will see the firm, which has 1.2 million customers on plumbing and drain contract schemes, grab a slice of the emergency call-out market. The south London-based Dyno-Rod group has a network of drains, plumbing and lock franchises in the UK and Ireland. The purchase comes after the group said in July it hoped to make a stock market debut, valuing Dyno-Rod at about £60m. "Dyno-Rod is a well-established and trusted brand which complements British Gas as a leading service provider in an on-demand plumbing and drains market-place worth in excess of £500m per year," said Mark Clare, managing director of British Gas. Dyno-Rod employs 131 full-time staff at its Surbiton office, and already has 12 staff at British Gas' Stockport office through an existing deal. The firm's franchises are expected to generate a turnover of about £60m in 2004. This would lead to a turnover of £13m for the central Dyno-Rod firm, with profit before tax expected to reach £6m. The sale is set to net Dyno-Rod's American founder Jim Zockoll around £49m. The former Pan Am pilot set up the firm in 1963 at a time when UK plumbers were unfamiliar with the concept of using high pressure water hoses to clear blocked drains.